Sara is a wonderful Senior Hair Designer with over 9 years’ experience at the top level. She brings with her a fabulous professional reputation and superb client service and hairdressing skills. Previously with an award winning salon in Wrexham, Sara moved to Manchester earlier this year and it’s a joy to work alongside her. If you choose Sara as your senior stylist you will soon see that she has an excellent sense of humour, coupled with a very creative yet practical approach to her craft. 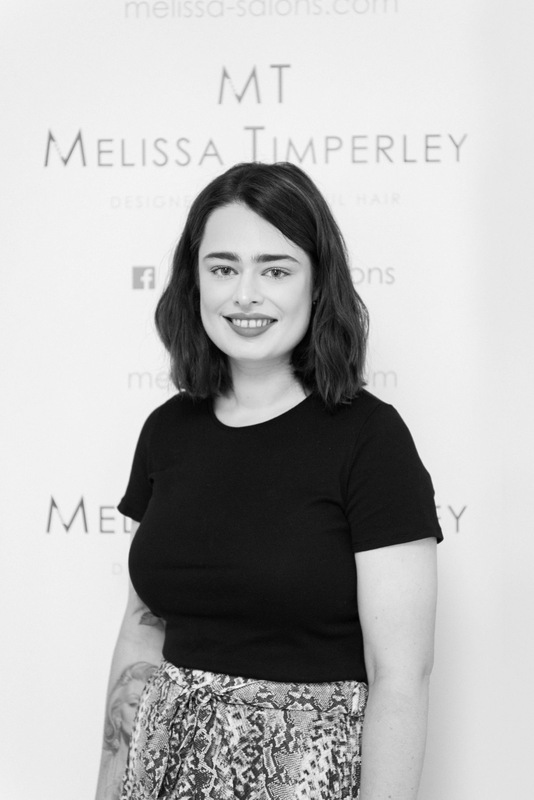 She was a finalist, along with Melissa, in the 2018 Wella Trend Vision Awards, having won the North West regional heats. Sara’s passion is precision cuts, colour and Balayage. As a measure of her dedication to her profession, on her days off she travelled to London to work with the Fellowship for British Hairdressing Colour Project Team, being nominated for awards in the process. Working alongside some of the great colourists in our industry has enabled Sara to build a huge portfolio of colour knowledge – there will be nothing Sara hasn’t seen. She also has fabulous ideas too, to help you see the possibilities for your hair. We are extremely proud to call Sara a friend and colleague – and you are guaranteed a great salon experience with her.